in connection to several commercial burglaries. 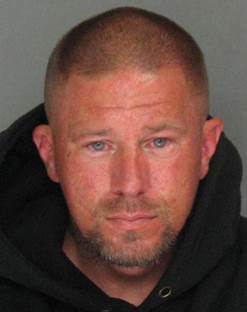 The Elk Grove Police are seeking assistance in apprehending a suspect wanted in connection with several commercial burglaries. The suspect, 35-year old William Cook, has been captured on video surveillance breaking into at least four restaurants and retail businesses since August 1. 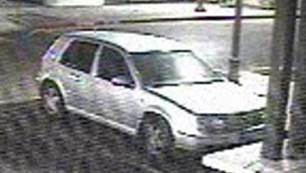 Cook is believed to be driving a silver or gray 1997-2004 VW Golf. A $250,000.00 felony burglary warrant has been issued for the arrest of Cook. Anyone with information regarding the whereabouts of William Cook is asked to call the Elk Grove Police Department Detective Bureau at (916) 478-8060 or Crime Alert at (916) 443-HELP (4357). Callers to Crime Alert can remain anonymous and may be eligible for a reward of up to $1,000.00. Tips can also be sent via SMS text message by entering CRIMES (274637) on a cell phone, followed by Tip732 (agency identification number) and the message.